Special offer price of £269 , reduced from £395 . 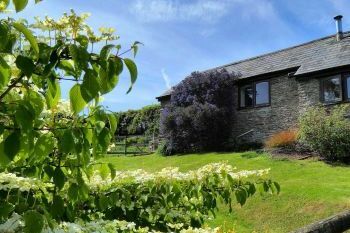 Cheery, beautifully decorated 2 bedroom cottage with breathtaking panoramic views. 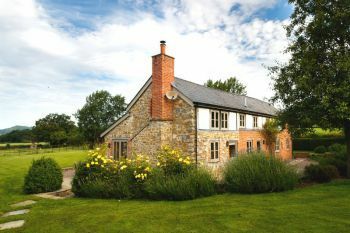 Family and pet friendly, this sleeps 4 masterpiece is available for short breaks and weekends as well as longer breaks. Prepare to be completely dazzled by hand-picked decor and specially-selected treats provided by the homeowner. This property is conveniently located near the Peak District, the Heights of Abraham and the historic town of Bakewell! Book a holiday in Derbyshire now and make the most of this good deal. Special offer price of £325 , reduced from £350 . 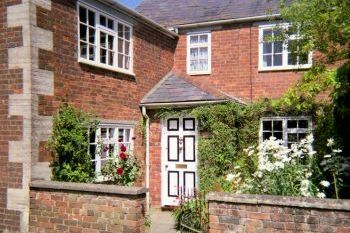 Bargain price holiday: £325 for 3 nights with flexible start dates in this pretty stone cottage for 2. Dog friendly, lovely valley views from the sitting room window. Private garden and access to rewilded valley of Dittiscombe Hills. Close to Slapton village with two excellent pubs, and Start Bay beaches 6 miles long - all dog-friendly. Dartmouth and Salcombe approx 30 minutes by car. 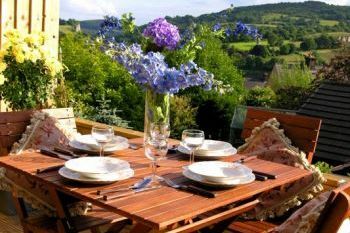 Romantic single-story detached holiday cottage with plentiful views over Dittiscombe Valley in South Devon, perfect walking trails from the front door , homely feel with free WIFI, ideal for couples looking to enjoy the English countryside. Book a holiday in Devon now and make the most of this good deal. Special offer price of £420 , reduced from £720 . Bargain price holiday: Lodge with hot-tub for a last minute break. Mountwood Lodges enjoy an envious location overlooking the valley of Strathearn in Perthshire, Scotland. 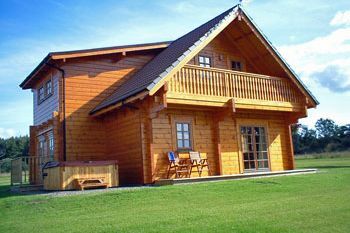 Ideally suited for short or long stays, our luxury 5* STB rated lodges provide relaxing, quality accommodation; superb location for touring central Scotland. Offer for March 2019 on selected dates available, book now and save £££'s on our listed prices. Price shown is for 3 nights based on a couple, subject to availability,terms and conditions. For larger groups, please email or call us on 01764 662609 for a quote. Special offer price of £800 , reduced from £1080 . Bargain price holiday: **EASTER** at Mountwood Lodges could be the perfect family holiday or romantic short break you've been searching for; genuine 5* luxury in a relaxing peaceful environment, excellent location for touring Scotland's many famous and historical places, numerous golf courses including Gleneagles (Ryder Cup venue 2014) only 5 minutes drive, Blair Drummond Safari Park for a great family day out, and much more. Now with great family prices during April/May 2019 on selected available dates. We can advise on places to visit or restaurants that compare to the best anywhere for a romantic night out, please give us a call on 01764 662609 or drop us an email. Price shown is for a 7 night stay, 3 night weekend and 4 night breaks also available. Smaller groups-please email or call us on 01764 662609 for quote. Choose from three luxurious lodges at Mountwood Lodges, each furnished to a very high 5 star standard, each of these log cabins is wonderful for a relaxing holiday and each sleeps up to 6 in very comfortable and appealing accommodation, within an area of natural beauty close to the Grampian Mountains and Ochil Hills, only around 12 miles from Perth and 9 miles from Crieff. Book a holiday in Perthshire now and make the most of this good deal. Special offer price of £1395 , reduced from £1895 . Bargain price holiday: JUNE SALE NOW ON: £500.00* off JUNE holidays 2019 YOUR DOG CAN STAY FREE* TOO The 5 Star luxury package own private hot tub on arrival! A 7 night holiday which includes Champagne, milk + cake on arrival plus your own gorgeous private hot tub *T&C’s apply Ring us now on 01263 822478 to book. 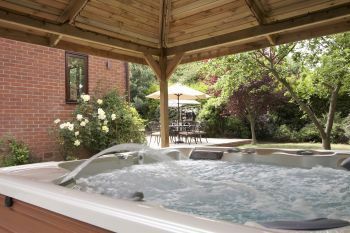 Luxurious 5 star rated dog-friendly holiday cottage with 4 bedrooms and private outdoor hot tub, just 1 mile from Cromer and just a walk away from the local beach. Book a holiday in Norfolk now and make the most of this good deal. Special offer price of £2495 , reduced from £2995 . Bargain price holiday: June SALE NOW ON £500.00 off weekend breaks 2019 Special Offer in Incleborough House, which has 7 huge ensuite bedrooms plus a private hot tub 3 night weekend break in June Ring us now on 01263 822478 to book. 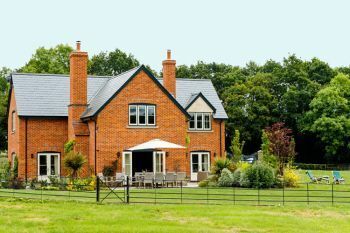 Sleeps 16 stylish and luxurious holiday house with hot tub, games room and walled garden, situated just 5 minutes walk from local beach and a short drive from Cromer. Special offer price of £495 , reduced from £1195 . Bargain price holiday: MAY SALE NOW ON: 1/2 Price Offer* for a short 4 night luxury break arriving in Monday 6th May The 5 Star luxury package own private hot tub on arrival! A 4 night break which includes your own gorgeous private hot tub! *T&C’s apply Ring us now on 01263 822478 to book. Special offer price of £1495 , reduced from £1995 . 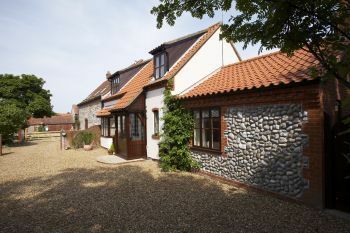 Looking for a luxurious holiday cottage situated by the coast close to Cromer in Norfolk? If so, this 3 bedroom family-friendly holiday house with its excellent location just 300 metres from the local beach could be perfect for you. The private hot tub and private walled garden add to this property's ample appeal. Special offer price of £700 , reduced from £900 . Dazzling restored cottage, tastefully decorated with traditional features throughout, the calm colours chosen to run through this holiday home are ones that offer upmost serenity, set in the rolling countryside of Herefordshire, sleeping 8 and pet friendly, this gorgeous gem of a cottage is one that will create wonderful family memories. Book a holiday in Herefordshire now and make the most of this good deal. Special offer price of £1300 , reduced from £1500 . Fantastic luxurious holiday house with 5 bedrooms, sleeping large groups of up to 10 friends or family, with a games room with pool table and table tennis there is plenty to keep you entertained at this high quality and welcoming holiday home, just 15 minutes’ drive from the pretty town of Hereford. Special offer price of £549 , reduced from £649 . £49 OFF all bookings for 2 Guests, without pets, sharing 1 bedroom. Pretty 4 star dog-friendly and family-friendly holiday cottage with exposed beams and ample character, situated close to the heart of Steeple Ashton and just 12 miles from Bath. 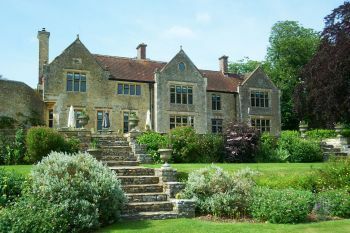 Book a holiday in Wiltshire now and make the most of this good deal. Special offer price of £299 , reduced from £355 . Special offer price of £899 , reduced from £990 . Bargain price holiday: 22nd - 29th April in two bedroom property. Special offer price of £499 , reduced from £555 . Wake up to sea views on holiday when you choose to rent a property at Ocean Reach near Salcombe. Special offer price of £2950 , reduced from £3950 . Bargain price holiday: We have some great deals in April with weekend of 26th now reduced to £2,950 - please get in touch for more info. 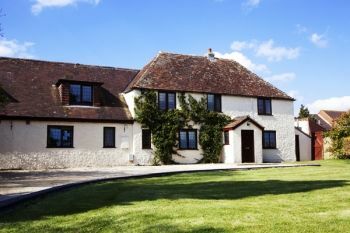 Book a holiday in Dorset now and make the most of this good deal. Special offer price of £700 , reduced from £800 . Bargain price holiday: Sleeps up to 8 guests - huge gardens. Dog Friendly. Tranquil getaway with only one neighbour for about half a mile! Close to the sea and sandy beaches with glorious sunsets. dogs welcome lots of dog friendly pubs and restaurants and beaches. 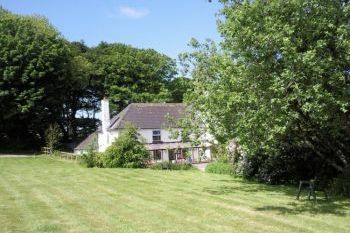 Gorgeous Pembrokeshire cottage, with 3 bedrooms (one of which features a romantic 4 poster style bed), plus a large secluded garden, this is an ideal location for walking in Pembrokeshire, the coastal path at Ceibwr Bay and Dinas head is close by, perfect for couples, families and those with dogs. 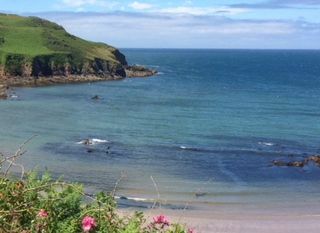 Book a holiday in Pembrokeshire now and make the most of this good deal. Special offer price of £1195 , reduced from £1495 . 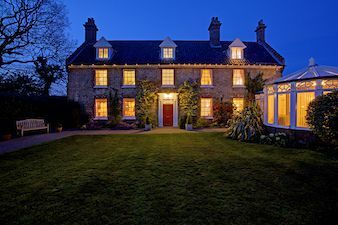 Bargain price holiday: Midweek breaks for up to 16 people. 4 nights £1195, 2 nights £795. Unique luxury holiday cottage located 30 minutes drive from the historic city of Bath, boasts large Finnish sauna, perfect for hen parties with range of extra services available.